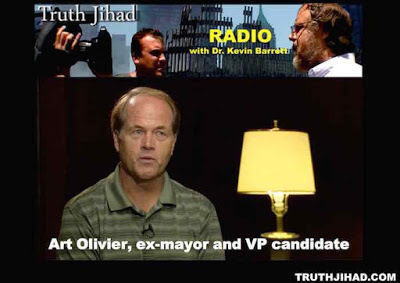 For more information on the occult-freemasonic dimension of false flag terror events, check out my interview with Tom Breidenbach. This show was broadcast on February 24, 2016. 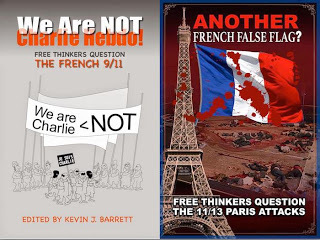 This entry was posted on Tuesday, February 23rd, 2016 at 8:49 am	and is filed under Anti-War, Censorship-Propaganda, False Flag/Fake Terror, Kevin Barrett, News, People, Protest. You can follow any responses to this entry through the RSS 2.0 feed. N.B. I am not denying any of the findings about the occult. but I take the view that we must be more interested or concentrated on the reality of life and death on this planet before we get swallowed into the reality or non reality of what is happening out there in space! I have already claimed that my life long research has lead me to confront the stark reality of a NON EXISTENT GOD as the One being worshiped by nearly half of planet Earth’s human population. We should already know that Freemasons built most of the Western City infrastructures and we will find their signatures all over the planet where mysterious things have been happening for hundreds if not thousands of years! We should be more concerned about the millions of innocent human beings the Judaics, the Freemasons (Illuminati) have been sacrificing to their Gods for centuries and the unbridled immorality they have unleashed on humankind as well as the deliberate destruction of human life by all kinds of abominable weapons, including radiation and genetic engineering. We all have to survive this Judaic-Illuminati Holocaust planned for nearly 90% of the Earth’s population. Religions have failed and God has failed. So, we are left with ourselves to pick up the pieces. And to achieve any positive results we must go back to our Godly values and FIGHT BACK THE EVIL ONES and not fear to sacrifice our own well being and even lives in the process! REVOLUTION and a TOTAL BOYCOTT are the only solutions left to us as there is NO GOD THAT WILL COME TO OUR HELP! What the heck is all this nonsense? We have a serious problem with DUMB and ZOMBIFIED Earthlings, and now we are getting distracted with this Galactic nonsense! I am more and more surprised why Kevin is getting drawn into this time wasting issue! I lived and worked in Paris for 13 years WITH the Judaics, and I know exactly what has been happening there and for what reason. I do not discard the OCCULT factor, but this is too simplistic because the real question is why the NON OCCULT world has been sitting by doing nothing! I saw the Judaics controlling and owning almost everything in France with the complicity of the Secularists, the Christians (both Catholics and Protestants), and the hypocritical, cowardly, and collaborating Muslims not fighting back as they should. That the Grand Mosque of Paris is run by a Crypto Jew Rector, DALIL BOUBAKEUR, a Freemason and lover of Israel, does not seem to bother most Muslims at all! His father was Rector before him! Morocco, Tunisia and Algeria (and other Black African countries) have been in the hands of France all along, and NATO France is owned and controlled by the Judaics and Israel. These are the real causes of the problems we face today in all the warmongering Western nations, including the USA, Canada, New Zealand and Australia, AND NOT ANY STUPID AND IRRELEVANT LEY LINE!